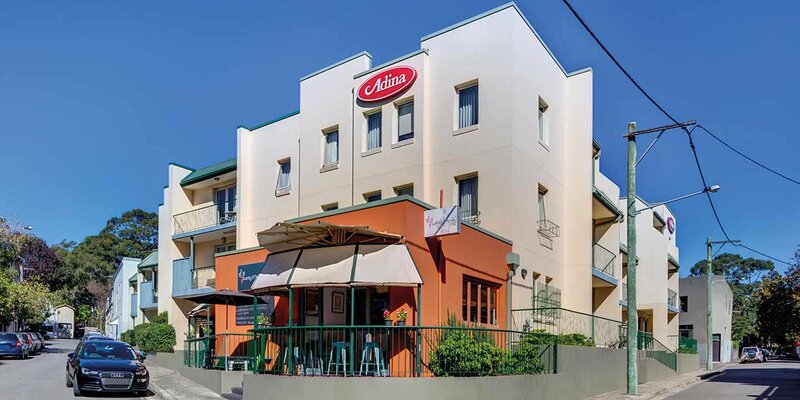 Adina Apartment Hotel Sydney Chippendale is perfectly located just five minutes’ drive to Sydney’s CBD, close to the Seymour Centre, Sydney University, University of Technology Sydney, Broadway Shopping Centre and many of Sydney’s best new drinking and dining venues, including Spice Alley and Ester. 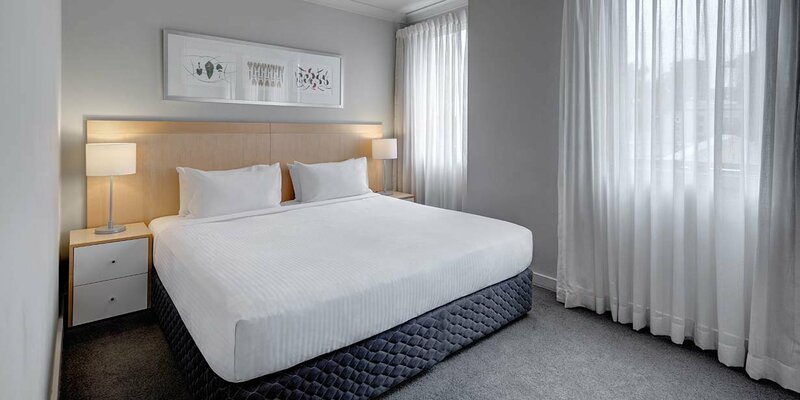 This hotel is only a few minutes’ walk from Central Station and Railway Square Bus Terminal, providing plenty of options to get to the CBD and beyond. 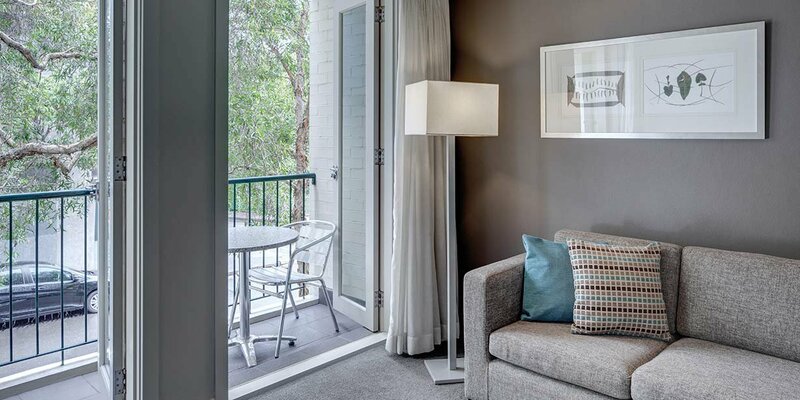 Adina Apartment Hotel Chippendale features spacious studio, one and two bedroom apartments which each provide an ideal sanctuary from the hustle and bustle of the city. 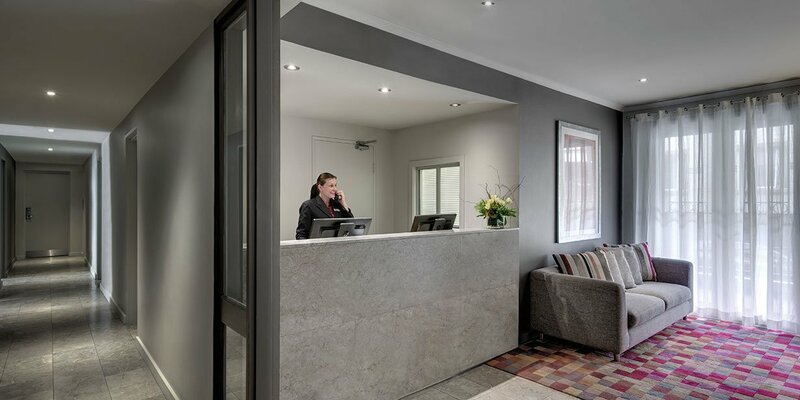 Designed for comfort, this Chippendale hotel provides prompt, attentive service from dedicated staff, offering a 24 hour reception for both business and leisure travellers. 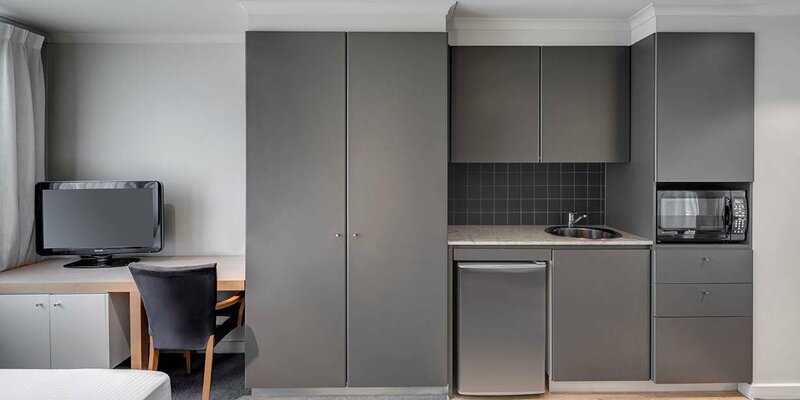 The apartments offer fully-equipped kitchens and laundries alongside generous lounge and dining areas, allowing you to unwind and make yourself at home. 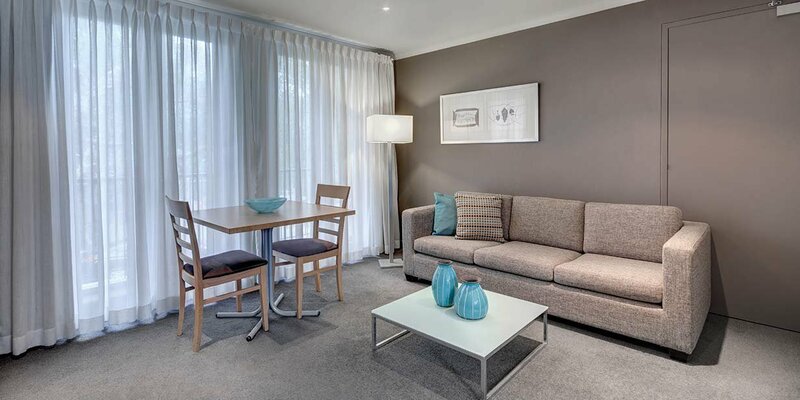 There’s free WiFi, on-site parking, 24 hour gym and an outdoor pool for your ease and enjoyment. 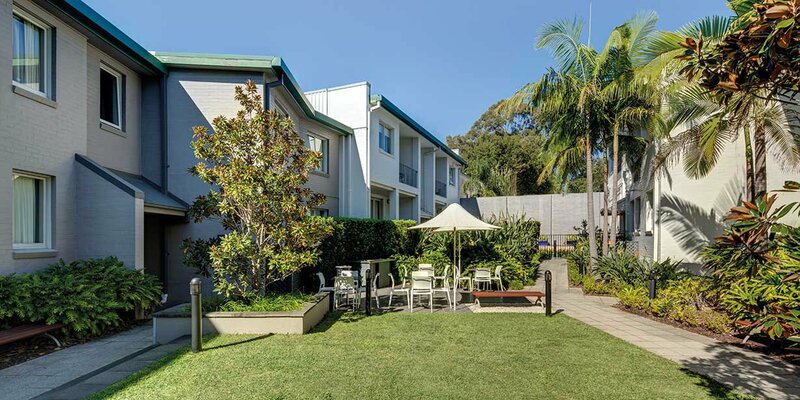 As well as having a number of great bars and restaurants in the immediate area, the hotel is within easy walking distance of trendy inner-city suburbs Surry Hills and Redfern, which are also well-loved for their foodie appeal. Your choices here are endless, whether you want to soak up the bohemian café culture, sample international cuisine or partake in fine dining in a hatted restaurant. 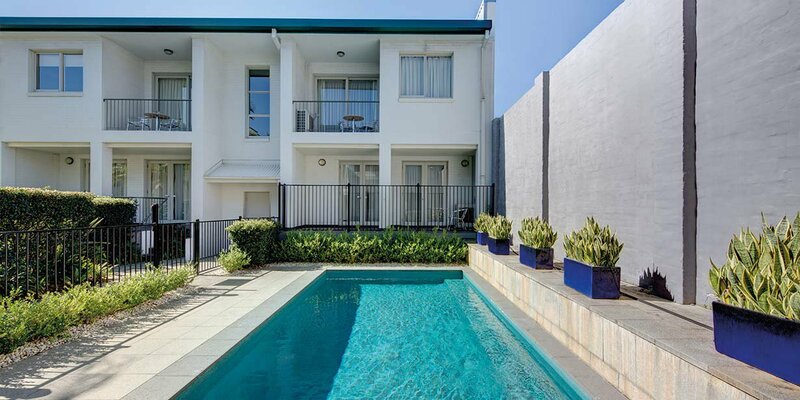 Adina Chippendale’s location is also ideal if you’re seeking a hit of culture, putting you within a stone’s throw of contemporary Chinese gallery White Rabbit and performing arts venues the Seymour Centre and Belvoir Theatre, all of which are perfect for rainy day adventures and evening entertainment.